CPUs to the machine will slow it down. You could, if you wanted, build a 1-million-CPU SMP machine. It just wouldn't be very efficient. 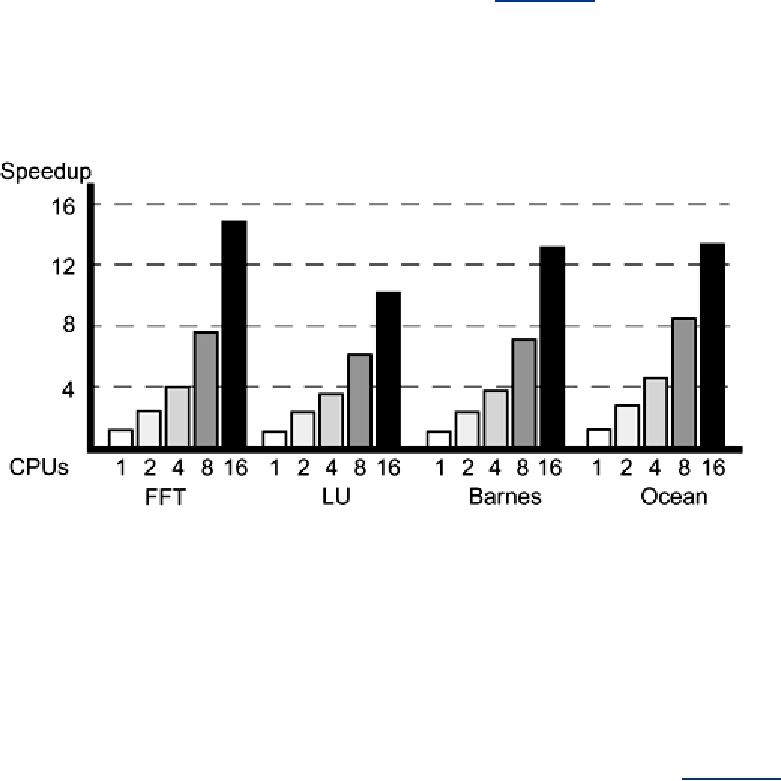 of only a small number of CPUs (typically, 2­20). scaling up to 16 CPUs. largely independent operations with significant interthread communication in only one section. factorization is dense matrix factorization, and also performed by a set of matrix manipulations. the effects of certain currents on large-scale flow in the ocean.